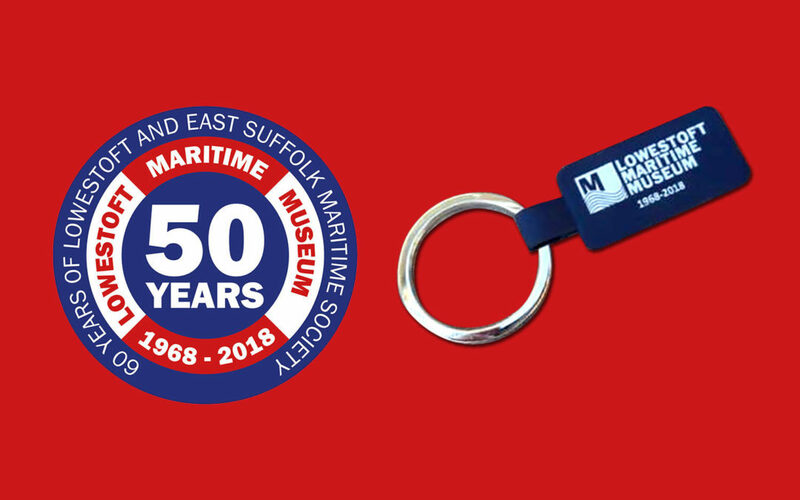 To mark the 50th anniversary of the Museum we have produced a special keyring. These are now on sale in the museum shop for only £3. If you would like one but cannot visit us we will be more than happy to send you one for £3 + £1 for post and packing. Pleases send a cheque made out to Lowestoft and East Suffolk Society, to Lowestoft Maritime Museum, Sparrows Nest Park, Whapload Road, NR32 1XG.